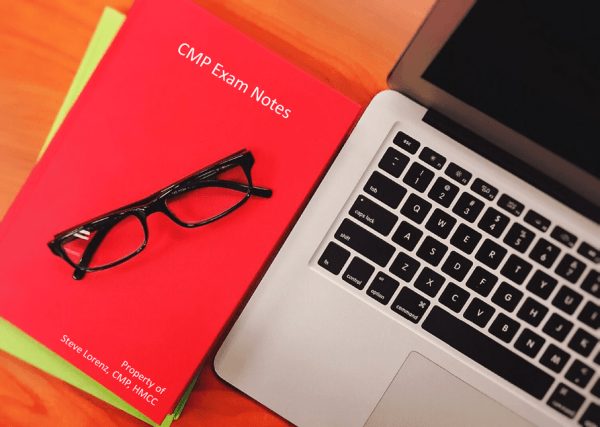 In reading this article, it sparked a few questions in my mind about what goes on behind the scenes during the creation of the CMP Exam, what’s the process, how do they come up with the exam questions, and how does it all work? So, I interviewed Steve to find out more about the CMP Governance Commission and how he was selected to serve on this prestigious board along with many other interesting questions about Steve’s journey and how it all links together. It was a thought-provoking conversation and his answers are very insightful. What exactly is the CMP Governance Commission? The CMP Governance Commission is the governing body that oversees the CMP credential. It works to ensure the credential truly reflects the important work of meeting professionals and that the International Standards are current. It also oversees exam development and that all test items pass through a strenuous review process to ensure best in class certification through rigor, relevance, and value. How long have you served on the CMP Governance Commission? It has been my pleasure and honor to serve since 2015 with my esteemed colleagues from all sectors of the events industry, including planners and suppliers. Read more at 2019 Events Industry Council Board of Directors. When did you land this opportunity? One of my CMP mentors reached out and shared with me the structure of the CMP Governance Commission about five years ago. She thought it would be a great fit and suggested I put my name in the ring to serve on the Commission. Why are you passionate about your role with the CMP Governance Commission? I am very passionate about the industry. Serving on the CMP Governance Commission is one of the ways I can give back to the meetings and event industry to keep the CMP current and relevant. It is an important function and I am thrilled to be part of it. What is a unique story you have about volunteering on the CMP Governance Commission? There are so many things I have learned participating on the CMP Governance Commission. I had no idea the amount of effort and work that goes into maintaining a credential. I also had never heard of psychometrics (the science of measuring mental capacities and the key guidance practice of developing the CMP certification) before. I didn’t know this field of study even existed prior to joining the Commission. As a mentor to event professionals looking to sit for the CMP, what are three pieces of advice you have to offer? Participate in educational opportunities, especially those areas that you don’t necessarily work in every day to stretch your learning outside of your current job or role. Study, study, study: the exam is rigorous, but if you accept the challenge, earning the credential and joining the CMP is well worth the effort. Don’t put it off; the application to sit for the CMP can be daunting at first glance, but if you review and start to complete it, you can see the areas that will need more of your attention or surprise yourself that you already meet the requirements to sit for the exam. Give us one last item you’d like to share with regards to your experience with the CMP Governance Commission? Sitting on the CMP Governance Commission has been an incredible experience and a high point in my career. It is amazing to me that I am allowed to participate in the program at this level and I have learned so much. It is an honor to participate and advance the recognition of the CMP Community. The CMP isn’t just a prestigious set of letters. This test is challenging because being a Certified Meeting Professional (CMP) is more than knowing how to plan productive meetings, execute exciting events, or even being a subject matter expert. It is also about inspiring and mentoring the next generation of event planners. When you take the CMP exam you know how much thought and care your fellow event professionals put into it and their passion for the industry. The CMP Governance Commission is always there rooting for you! Read the full article Why did they ask me that? How a question gets on the CMP Exam. It was published on the Events Industry Council website to uncover the CMP Exam creation process. I had the opportunity to join Hyatt Hotels and a group of fellow MICE travel professionals on a tour to Bogota and Cartagena, Colombia. I returned excited to see that a country which has had so much negative publicity over the past several decades is, in my opinion, at the tipping point of change. There is great optimism among the native Colombians that Colombia has a bright future ahead of them. Tourism is a key component of that and everyone I met was anxious to make this growing industry viable. It was evident throughout my trip that the Colombian people have natural hospitality about their culture and the authentic nature of these cities makes the country a wonderful new destination for all types of travelers. The first two nights I had the pleasure of staying at the Grand Hyatt Bogota; which opened in November of 2018. This stunning new build hotel is located only 15 minutes from the airport in a newly developed area of Bogota. Beyond the sleek and thoughtful design, you’ll also find immense and versatile function space coupled with spot-on customer service. The hotel’s location is important because, as I learned, Bogota is a very spread out city with a still maturing infrastructure, so being close to where you are coming and going from is important. The hotel also offers a top floor (and top-flight) restaurant, Ushin, with views of the mountains that ring this capital city. It also has a perfectly appointed fitness center, indoor swimming pool with hydrotherapy circuit and a quiet, dark and peaceful getaway in their spa. While in Bogota I participated in a Weaving Peace City Tour where I visited two local shops run by indigenous tribe members. For decades the rural, indigenous tribes of Colombia became one of the biggest victims of the country’s notorious drug trade. Their land was the farm that grew an illegal crop and their communities were the unwilling processors. Fast forward and many of those communities have taken a stand and moved from a cash crop to a sustainable crop often in the form of cacao and coffee beans. Through small business funding and grants, these new crops have turned into a new business model including small storefronts in the urban center of Bogota. Wuasikamas Coffee and Distrito Chocolate are two examples of these tribes transforming their future and great stops to purchase gifts to take home. I also had the opportunity to visit the incredible Catedral de Sal (salt cathedral) in Zipaquira. Carved out of an immense, working salt mine this man-made wonder is available for private corporate events and is very popular with locals for Sunday mass. The venue is located 1.5 hours outside of Bogota and day trip can be combined with lunch or dinner and local market shopping in the small towns along the way. From Bogota it was an easy one-hour flight to our next destination in Cartagena, a city steeped in history along Colombia’s Caribbean coastline. We arrived just as the sun was setting adding even more magic to this unique location. Founded in 1553, the city hosts the largest walled city built by the Spanish in the Caribbean. But it also has a “modern” peninsula directly beyond the city walls that features a mile of glass and steel skyscrapers. My first impression was that the city was a great mix between a San Juan “esque” colonial architecture and a Miami Beach “ish” cosmopolitan style. The Hyatt Regency Cartagena was our host hotel for the next three nights. This beautiful hotel opened its doors in December of 2016 and starts on the 14th floor of the building. Every room has floor to ceiling windows facing the bay or the ocean, including the restaurants and fitness center! There are several infinity pools with views to the sea including a family and adults-only pool. The pool decks transform into great group function spaces at night and the hotel has easily accessible indoor ballroom space and a full-service spa. Groups looking for lots of function space can check out the Cartagena Convention Center located downtown with 215,000 sq. ft of flexible space. On our first full day in Cartagena we took a city tour and visited the Castillo San Felipe de Barajas. This fortress built by the Spanish includes a foundation built of the coral rocks that surround the city and bricks manufactured in Spain and were used for ballast on the ocean-faring ships. The ships then left the bricks behind in Cartagena and headed home with their cargo holds full of gold from the Americas. We also walked through the main corridors of the old city. Around every corner was a new Instagram-worthy picture featuring brightly colored buildings, huge wooden doors, wrought iron door knockers and beautiful bougainvillea overflowing from the balconies. Cartagena combines quaint plazas and church steeples with high-end and local shops along cobblestone streets, offering visitors a perfect combination of old and new that meld together in harmony. The beaches right outside the high-rise hotels and condos on the modern peninsula are carved from coral rock and therefore aren’t the white sand and aquamarine waters one might expect in the Caribbean. To find that, many travelers charter a boat for the day to the Rosario Islands. This archipelago, located approximately 1 hour off the coast, features a variety of boutique hotels and day clubs on individual islands with beautiful beaches. We visited Isla Grande and the day club at Gente del Mar. We were treated to a freshly caught lobster lunch and comfortable day beds under the palm trees. It was a memorable way to spend the afternoon. Watching the sunset is an unofficial sport in Cartagena. Our group was able to capture an especially beautiful one during a sunset bay cruise on the Sibarita Del Mar cruiser. While talking with the captain and owner of this company, he shared that six new bay cruise companies have opened in the past 2 months in Cartagena. This is a prime example of how the tourism market in Colombia in general, but specifically in Cartagena, is growing. An often-asked question is about safety. I can personally say that I felt very safe during my travels. However, as with any destination, I encourage everyone to use common sense and caution when traveling and be aware of your surroundings. English is spoken readily in the hotels, but if you are not a fluent Spanish speaker yourself, I would recommend being accompanied by a Spanish speaking guide or partner when heading out to see the sights in Bogota as all transportation, communication, and signage are in Spanish. In Cartagena, you’ll find more multi-lingual residents because the city has developed as a melting pot of tourism and international sea trade over the years. Currently, Bogota is a relatively inexpensive city. Cartagena, on the other hand, is more well known as a vacation destination on the international scene and more expensive. I realized I’ve only scratched the surface of all this country has to offer. Because of its diverse topography with mountain ranges slicing through the country, each of the regions of Colombia has developed their own micro-culture with foods and attractions that are special to them. The Colombian Tourism Bureau is currently working to meld and market itself as one unified, yet diverse destination, for all types of travelers. I look forward to seeing what progress the future will bring to Colombia and to the opportunity to share all its exciting possibilities with M&IW’s incentive, meeting and convention clients in the future! If you are interested in learning more about these or other amazing destinations, please email us at marketing@meetings-incentives.com. Over the last ten years, corporate responsibility has transformed from a single act of charity, such as sponsorships, volunteerism and community involvement to complete, brand-centric philanthropy. If done well, modern corporate social responsibility practices engrain themselves into the culture of an organization impacting employees, customers, suppliers, and even communities. Social impact has expanded into every part of the business, by function, unit, and even geography. CSR programs can no longer afford to simply be charitable — social impact needs to be ‘built into’ a company’s strategy showcased across many aspects of operations. The more aligned your CSR activities are with the company’s culture and values, the more they will resonate with the employees. Attendees who are personally invested will leave your meeting, conference, tradeshow or event with a sense of purpose and satisfaction. For maximum impact, we recommend starting your CSR activity in advance with some friendly competition — it is a great way to raise both awareness and funds early. Be sure to recognize top achievers and high performing teams during your event and continue to support the cause in other ways throughout the year. As part of our corporate Global Giveback, every year we select a different charity to support and theme our CSR activity. This year we are supporting the fight against hunger. At our annual company event, our employees packed more 26,000 meals for Rise Against Hunger. Each month, we designate specific food items which makes it easy for individuals to participate and we track our collective impact. Additionally, our M&IW family is supporting a local pantry through monetary donations, food and hygiene items, and volunteering our time. Corporations with sound CSR practices have access to many benefits — intrinsic and extrinsic. This incentive drives the implementation of corporate programs at meetings and conferences and events. More so, event marketers see that initiatives are good for business and good for the connectivity of their shareholders. For more information about best practices in selecting, designing and executing a CSR program for your next event, contact us at marketing@meetings-incentives.com. Meetings & Incentives Worldwide (M&IW) is honored to be a trusted certified Women’s Business Enterprise (WBE) by the WBDC-Chicago, a regional certifying partner of the Women’s Business Enterprise National Council (WBENC) for the seventh consecutive year. M&IW owned by sister team, Jean Johnson and Tina Madden, are committed to a diverse work environment that backs its words with accountable actions. “We are very excited to offer this additional value to our current and future clients committed to supplier diversity programs,” said Jean Johnson, CMP, Co-CEO and Chief People Officer. By including women-owned businesses among their vendors, corporations, and government agencies, organizations demonstrate their commitment to fostering diversity and the continued development of their supplier/vendor diversity programs. While there are many benefits of working with diverse suppliers, there are three that stand out as being the most impactful to a business’s bottom line. Partnering with diverse and minority-owned suppliers, including WBENC provides many tax incentives from the federal level. Not only does a business receive a tax break, but they also may be able to take advantage of reduced tax liabilities if minority vendors and suppliers are being used for federal or state-funded grants or loans. As a certified organization, we can provide you with all the information needed to leverage this opportunity. Diverse suppliers have deep relationships with other vendors that may provide additional saving across your business. The strength of these relationships and their commitment to quality and innovation often leads to a tangible increase in savings and resources for obtaining goods and services. Supplier Diversity programs offer an impactful and marketable way to differentiate yourself from your competitors to shareholders, employees, and consumers, which may increase business opportunities. Diversity-leading organizations know they need leaders who both understand and reflect the needs of their customers. Women-owned businesses are also one of the fasted growing sectors of our economy. Showcasing your company’s commitment to doing business in diverse markets increases economic growth in many communities. We live in a deeply connected and global world. It should come as no surprise that more diverse companies are achieving better performance. “We need to attract, develop and retain diverse leaders who both understand and reflect the needs of our customers,” said Tina Madden, Co-CEO and Chief Customer Officers. Additionally, as a certified WBE, we are dedicated to a supplier diversity strategy that seeks out and utilizes women-owned and minority suppliers internally and within our customers’ events. You may be scratching your head and asking yourself what on earth is holistic marketing and how does it pertain to my conference? Holistic marketing is a strategy which considers the business as a whole and not as an entity with various parts. All communication and activities are aligned and integrated throughout all departments to create a uniform and impactful experience. Many companies do not consider the impact of an aligned strategy and many times, only do what they think is vital, creating an agenda, organizing speaker and other tasks associated with operations. Marketing alignment is a part of your business strategy and just like top organizational goals, a little consideration makes a large impact on experience and your return on investment. Consider the following key marketing strategies for your next conference to bring your message to the forefront of your targeted audience. 1. Event Websites are vital. Your website is your online salesperson. You want to target audience to find and engage with your materials. Build a mobile responsive website—In today’s market there is a 90% chance your target audience will view your website from their mobile device. If they find this difficult, you may lose their interest. Hyperlink pages throughout the website—Inpage and off-site hyperlinks add to the legitimacy of your webpage and offers useful information for your audience, ensuring you resonate with them as a thought leader. Set up the registration link to open in a new window—This gives the readers easy access to the last web page they were viewing if your registration process takes them off of your website. Pro-Tip: Use a website builder that seamlessly integrates the registration process. Outline an agenda—Even if it is a basic outline. It can be updated and enhanced as speakers commit to sessions and breakout topics. Showcasing that the agenda will update may encourage users to return to the site again and again. Consider SEOs (Search Engine Optimization)—Help improve your website’s ranking in search results by writing your copy with the natural keywords and phrases that your target market is searching for online. (i.e. location, topics, speakers). Create Content —Blog articles, Podcasts, videos will create additional SEO opportunities for your website. So produce content as often as you can while remaining consistent. Post content that centers around your conference, the speaker’s topics, the industry and hot topics your potential attendees may be interested in. Create Shortcuts—If the conference website is separate from the company website, consider promoting the conference on the company’s homepage with a banner that links to the conference website. 2. Marketing Automation is your best friend. According to a 2018 Radicati Group study, there will be more than 3.8 billion email users before the start of 2019. Build a mobile responsive email template—Do not risk losing a registering attendee because they can’t read the email from their mobile device. Create clear CTAs—Always have a call to action. Make sure it is clear what the intent of your message is and what action you’d like your audience to take. Make sure links and buttons clearly say Register Now, Learn More, View Agenda, Meet Speakers, etc. Be Creative—You have a short time frame to get your point across. Capture your reader’s attention by simplifying your message, adding short videos or linking to more information so you can track interaction. Be Considerate—While email is still one of the highest forms of communication, be sure you respect the inbox and space your emails out accordingly. Spread out your emails by at least a week as to not annoy your audience. Give Thanks—If this is a repeating conference, send emails after your event thanking people for attending. Include a Save the Date for the following year and offer a survey to see where improvements can be made. 3. Social Media is a great place to promote your event, interact with attendees & followers, and drive traffic to the conference website. Like content marketing, post about the conference, but post other topics as well. Keep posts simple and encourage team members and industry influencers to like, share and comment on event posts. 4. Event Hashtags can boost impressions and improve the searchability of your conference. Create a conference hashtag and use it every chance you get. Hashtags are individually searchable and on some social sites, can be followed. They increase social media engagement and attract new followers. 5. Geofencing and Retargeting may help you reach your audience. Due to the General Data Protection Regulations and other data protection privacy laws, gone are the days of purchasing a list of leads to increase conference awareness and registration. Target users by location or interest using these paid search advertising techniques. 6. Post Conference Marketing can be extraordinary. The conference might be over, but there is still marketing to be done. It is very important to gather and file all the collateral collected during the conference. This includes; photos, videos, testimonials, survey results, etc. This year’s collateral is next year’s promotional material. Each conference is as unique as the audience that attends. It is important to try a variety of marketing tactics and track its impact on registration and engagement. The key is to ensure you have a dedicated distribution and content plan for your website, email marketing calendar, social media, paid advertising and post-conference goals. In conclusion, do not over commit. Choose a few of these elements and go all in. Do not spread yourself too thin or you may lessen your impact on your audience. Marketing is an art; not an exact science. The key is to test and measure and then focus on what works for your event, target audience and geographic location. If you are interested in learning more about our conference and event marketing services, please email us at marketing@meetings-incentives.com. Let’s face it, some meetings are mandatory; attendees do not have a choice in the matter. These types of meetings can be challenging even for the tenured planner. How do you get an attendee to want to register for a mandatory meeting? How do you keep them engaged during the meeting? How do you offer a calming more comfortable learning environment? I presented these questions to three SMEs on our Global Enterprise Solutions team to discover the current tips and tricks for making the most out of mandatory meetings. When asked how she entices attendees to register for a meeting they don’t have a choice in attending. Jessica stated “start with a Save the Date invite with plenty of time in advance. Choose an appealing destination with a hotel located near attractions, shops and restaurants.” She continued by suggesting the use of airport hotels that are easy to maneuver to and from the airport, especially for 1-day meetings. In addition to the points above, Jessica recommends to always reveal some agenda content in advance of the event. By focusing on clear communication and the value of the mandatory meeting, planners can generate excitement and drive registrations for even the most reluctant invitee. Once the attendees have registered, the question becomes how planners keep them engaged during a meeting that they must attend, Paquita McCray shared a plethora of ideas. Paquita has been working in this industry for more than 15 years, she is also a Strategic Account Manager at M&IW. One of Paquita’s suggestions is interactive meeting technology with electronic tablets for all participants. Tablets, such as EM-Array, have multiple uses and keep attendees interacting throughout the event. When using tablets at a meeting make sure the following items are installed prior to the start of the meeting. Additionally, many global mandatory meetings have multilingual participation. Setting up multilingual capabilities for attendees will help with engagement. To ensure clear communication, provide translation services when needed. When attendees submit questions and opinions through the tablet, give them the ability to enter questions in their local language. Ensure prior to the event that the tablet is programed to translate the question to the group/moderator. A must-have on everyone’s list, especially for mandatory meetings, is a mobile app. Mobile apps generate engagement throughout the event – pre, during and post. Apps provide attendees up-to-the-minute information and event navigation at their fingertips. This form of technology also enhances and brings events to life via the energy of registered attendees, which is very helpful when applied to mandatory meetings. Paquita also recommends scheduling presentations to rotate speakers; nothing is worse on one’s attention span than sitting through the same speaker for three topics, especially if the content is dry. Adjust the presentation styles and make sure speakers are dynamic. Review the decks prior to avoid speakers duplicating information. The last great piece of advice that Paquita offered is to make sure you schedule in adequate breaks and white space. If there is a longer presentation, break it up into part one and part two with a break in between. Attendees often lose interest or focus on their own work rather than focusing on the presenter if there is too much content in one sitting. Steve Lorenz, CMP, HMCC, one of M&IW’s Sr. Account Leads with 28 years’ experience, suggested to always book a room with natural lighting when possible. As we all know this isn’t always possible, when that is the case, decorate the entrance, stage and room with plants to provide a calming more comfortable learning environment. He also recommended breakout sessions or workshops where attendees are separated into participant types. This gives the client the ability to cover information that is more specific to each participant, such as having an investigator session separate from a study coordinator session with medical meetings. Doing this keeps the attendees engaged and interacting with their direct peers. By utilizing these tips from our M&IW’s subject matter experts, planners will generate pre-meeting excitement, attendee engagement and offer a conducive learning environment at their next mandatory meeting. Global Outlook – Although there is conflicting information in recent reports, there are indications of a global slowdown that will likely be triggered by what is going on in the EU concerning some of the unknowns with Brexit. This will likely not impact the US market immediately but may have effects on our industry because of the strength of the dollar making it more difficult for international travels coming to the US. Top News in Hotels – Rates are going to continue to run high globally because of demand. Revenue per Available Room, also known as RevPar, is increasing globally and across the US. Some of the hottest cities for 2019 in North America are Las Vegas, New York, and Orlando. Additional US locations to watch this year include San Diego, Toronto, and Nashville. Globally, high demand cities for the upcoming year include São Paulo, Mexico City, London, Shanghai, Singapore, and finally, Moscow made the list because of their competitive rates based on the inventory from the Olympics. Air Booking & Group Travel – Airline ticket costs are on the rise because of fuel costs. The trend to allow individual mileage rewards toward a company’s airline fulfillment is emerging. Group online booking tools are gaining popularity for their ability to connect ground transportation to ticketing and group air travel making managing air travel and ground transportation for attendees seamless. More and more meetings and conference locations are being decided on based on an air cost analysis. Finally, airline capacity is increasing to meet the increase in traveler demand. Technology –There is a 60% increase in technology growth within the meeting and conferences space. Phy-digital is the future where the physical and the digital world collide. Live meetings with the integration of digital technology are far outperforming traditional virtual technologies. It is estimated that 75% of meetings planners will have some sort of phy-digital technology in their meetings. Finally, more event technologies on the horizon include event bots, facial recognition, voice-activated apps, go-pro robots and much more. Mobile Apps – Mobile apps are getting increasingly sophisticated with features such as facial recognition. Areas of anticipated growth within mobile apps include the agenda, pre- and post-attendee engagement, attendee behavior tracking, networking capabilities, and safety features. Meeting and Event Management – Some of the tried and true trends of the past remain constant including unique venues, local product sourcing, sustainable food and beverage options, unique room sets and innovative seating environments. Two of the newest trends are the personalization of the experience regardless of the size and localization; meaning bringing the local culture into the event and embracing the surroundings outside the hotels four walls as part of the attendee experience. Safety and Security Practices – California is releasing new and updated digital privacy laws coming in January 2020. GDPR is still trending with new countries being added and the Brexit implications. As it relates to event-level emergency policies and procedures, “duty of care” is still top of the list. The Exhibits and Meetings Safety and Security Initiative (EMSSI) continues to evolve and release industry-wide guidance for the cyber safety and physical safety of the meetings industry. Business Intelligence (BI) – BI and data analytics is still king. The rise of data scientists as a role within the industry is the newest emerging trend. It is no longer enough to collect and analyze data. This new role of data scientist will take the way the meetings industry utilizes data to help make smarter, more informed decisions to a whole new level. If you would like to learn more about these topics and trends as well as others not mentioned here, you can watch the replay of Shauna McNaughton, HMCC, Sr. Director, Strategic Account Management, presenting Powerful Trends that will Impact Your 2019 Strategy. What’s in your Tradeshow Toolbox? In managing numerous tradeshows and conferences over the years, I learned you can never be too prepared. Keeping this in mind, two items consistent with all my shows were my “handy dandy” toolbox and the pre-event checklist. I was reminded of this when I recently attended Marketplace 2018 – the 37th Annual Governors Conference on Minority Business Development at the Potawatomi Hotel on December 12-13, 2018. Our M&IW conference team provided attendee registration and management for more than 800 attendees. Additionally, Meetings & Incentives Worldwide was a sponsor and exhibitor at the event. Early on, I prepared for an event with an empty box. However, I soon learned a pre-stocked toolbox was beneficial and a great timesaver! I also realized every event is not the same and that is where the inception of the pre-event checklist began. You might be thinking these are one in the same, but they are not. The toolbox holds essential items needed for any event; whereas the pre-event checklist will ensure you remember to pack more specific or personal items needed just for that event. The toolbox is the go-to for everything one could possibly need at any type of event. This consists of items needed for set up, break down and all the possible unexpected mishaps that can and do happen in between. I divide my toolbox into four areas – hardware, medical, office supplies & shipping materials and cleaning. When filling your toolbox, think compact. When building the toolbox base the type and size of the container on the contents that fit the unique needs of your company. The medical items can be placed in a small first aid kit. The stapler and hammer do not have to be full size, they only need to be of good quality. Pack small where you can and replenish the toolbox when you return to headquarters. The toolbox should be stored in a secure place onsite so that items to do not walk. Also, remind your planning team to return items after use. There is nothing worse than knowing you had scissors packed only to find they are no longer in the toolbox. Unlike the toolkit, the checklist changes from one event to the other. It is based on the length of tradeshow, distance from your headquarters location, size of the booth and number of staff attending. Some of the items that most likely would be included are; extra business cards for each employee manning the booth, water, snacks, mints, phone charges, promotional items, booth decorations, door prizes and bring the completed event registration forms along with shipping and returning labels. Hopefully, this information is helpful in creating your perfect tradeshow toolbox. Remember, preparation is the key to a smooth-running event. We attend events to network, sell and fill the sales funnel, not to waste valuable time hunting down forgotten items. Be smart, pack smart, think smart! When I reflect on this history of M&IW, I think about my father and grandfather—their courage and perseverance to start a family business more than 50 years ago. I think about their unwavering principles and values that have stood the test of time and continue, to this day, to run deep through our employees and our company’s culture. However, there is one attribute that particularly stands out and that is grit. Grit is a character trait that is deeply ingrained in our family, and also one that we strongly value at M&IW. To us, grit is the courage to go first, the resolve to always do the right thing by our clients even if it is difficult, and the strength of character to admit we may not have all the answers, but you have our promise that we will work together in partnership and figure it out. It is having the perseverance to fail, pick yourself back up and keep going. After completing the Tuck-WBENC Executive Program, I had a realization that while our company has continued to grow and innovate, we have reached an inflection point with a unique opportunity to shape our future. I asked our executive team to redefine the objectives that will drive future strategies, create more alignment across teams and departments, as well as provide us with a means to track our performance and ongoing success. Through this exercise, we came up with three focus areas: GRowth, Innovation, and Talent. And, guess what? There you have it—our new meaning of Gr.I.T. As M&IW evolves, apparently so does our definition of grit. Our goal over the next few months is for our leaders to continue to define and refine. We will put objectives in place to grow our business and build relationships, lead the industry in innovation, and recruit/retain the best talent that aligns with our culture and values. It amazes me as we begin this journey of mapping out our future success how transformative it is! Even in the early stages. Which is the reason I share this with you now even before we have it all defined, because we realize it is not our final destination that matters most, it is the journey and learnings along the way. And while we are at the beginning of refining these objectives; our mindset is solid. We are focused on putting the practices in place to ensure the health and wellbeing of M&IW for the next 50 years. So, what does our GRIT mean for you? Through this exercise into 2019, we are going to get really clear on how to best serve you. This will result in more innovative service offerings, enhanced customer service, and streamlined operations all with the goal in mind to help you grow your business. Because, we firmly believe in our vision to transform organizations through the power of human energy, one event at a time. And, because we believe in our mission to focus on aligning enterprise and event customers while designing and executing innovative solutions to drive continuous improvement and deliver exceptional experiences. We are excited to continue to partner with our clients in the year ahead and deliver amazing outcomes.